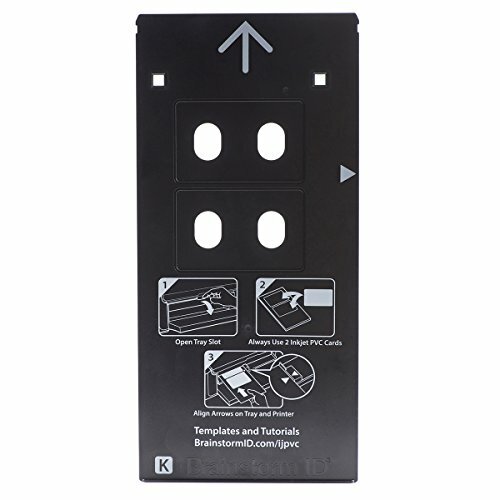 This tray replaces the Canon K tray normally used for CD/DVD disc printing. Works with the following Canon Printers: PIXMA PRO-10, PIXMA PRO-100. Only works with printers that use the Canon K Tray for CD/DVD printing, will not work with any other printers. PRINT YOUR OWN PVC ID CARDS: Brainstorm ID's K tray replacement works with the Canon PIXMA PRO-10 and PRO-100. It works in place of the normal CD/DVD tray that comes with your printer.